A summary of eighteen games used in this class, with particular focuses on interpersonal coordination, group bonding, ​and empathy. The purpose of this assignment is to encourage students to identify how empathy is relevant to themselves. Students provide a 100 to 250-word answer to each of the following questions. What do you think empathy is about? How would you describe your current relationship to empathy? Think about someone you admire, who you think has excellent social intelligence skills. Why do you think so? What have you learned from observing this person? Think about someone you do not admire, who fails to exhibit sufficient social intelligence skills. Why do you think so? What have you learned from observing this person? How can you use empathy to become a more effective leader? Reflect on the syllabus and what we have discussed on the first day(s), what do you hope to be able to do at the end of the course? How do you think this might be useful in your personal, academic, and professional life in the long run? Interest in empathy has increased dramatically over past years. Nowadays, mention empathy to people, and almost everyone would agree that it is vital to human interactions. But is empathy just about being nice and fuzzy? What is empathy? Why is it important? And how to get it? ​Over years, we have seen many fun proposals such as this and this. From time to time, we experience an “Empathy Gap” — a difficulty understanding someone else’s point of view. This gap keeps us from engaging with people of different social groups, but it may also creep into our interactions with good friends, close family members, or anyone else whose perspective is hidden to us (which is essentially everyone). Over several steps, this "Empathy Gap" activity serves to put students’ active listening and perspective-taking skills to use. 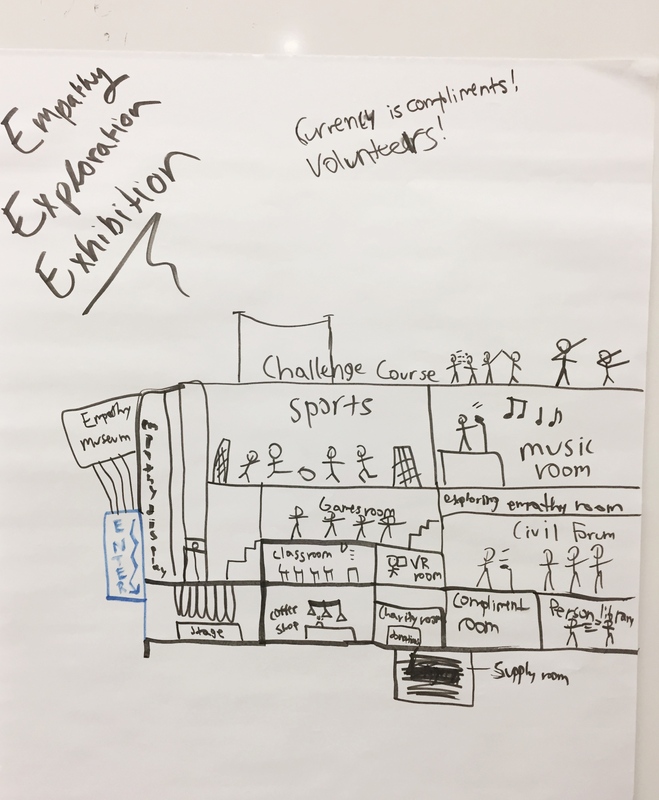 First, students identify an Empathy Gap they currently experience and would like to tackle. Second, they exercise a combination of skills taught in class to “walk in another person's shoes”, such as active listening, asking open-ended questions, learning about the other's unique circumstances, taking an imaginary leap, and recalling or reproducing similar experiences in themselves. Note that it is part of the requirement to actually talk to the other person. Third, students reflect on what new insights they have gained into themselves, the other, and the Gap in between, and compile this learning experience into a written paper. Finally, students share their paper with others in the class and reflect on their take-aways collectively in an open discussion. Overall, this undertaking requires students to step out of their comfort zone and explore and appreciate a mind that is different from their own. Empathy is not a panacea. Admittedly, it has its own limitations and pitfalls. 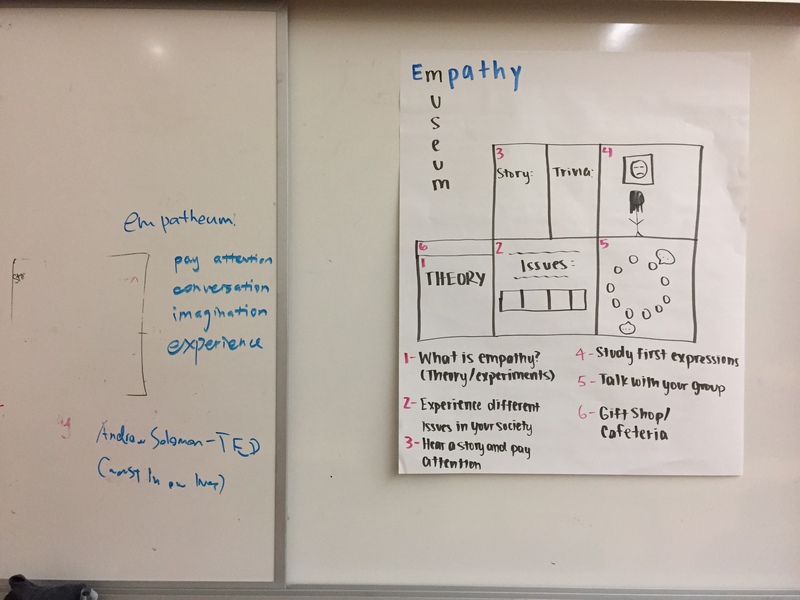 Based on Paul Bloom's recent arguments against empathy and responses from critics, the Empathy Debate ties together everything students have learned over their two weeks of instruction and encourages them to think critically about the matter at hand. Students will be randomly assigned to the "For Empathy" or the "Against Empathy" camp and must lay out their respective sides of the argument in a structured debate. ​This activity brings the course to a close in a structured yet challenging way. Once the exercise is over, the instructor leads an open discussion of the points brought up during the debate.